At the 1929 annual meeting of the National Conference of Social Work in San Francisco a delegation of public agency representatives voted to organize a national membership organization open to all levels of government. In 1930, approximately forty persons from twenty different states met in Boston to found the new organization. Initially, the organization was named the American Association of Public Welfare Officials and its mission was to help and improve the activities of public welfare organizations throughout the nation. The name was changed in May 1932 to the American Public Welfare Association (APWA); and in 1998 it was changed again to: American Public Human Services Association.” These entries describe the history and growth of the American Public Welfare Association (APWA) and several of the key actors in that history. American Association of Public Welfare Officials: Executive Committee Meeting-January 1931Minutes of Joint Meeting of Committee of Division IX National Conference of Social Work and Executive Committee American Association of Public Welfare Officials. "The chairman read a memorandum prepared by him on a proposed survey in the field of public social work. He called attention to the great scope of the field and the other organizations now occupying part of the field." 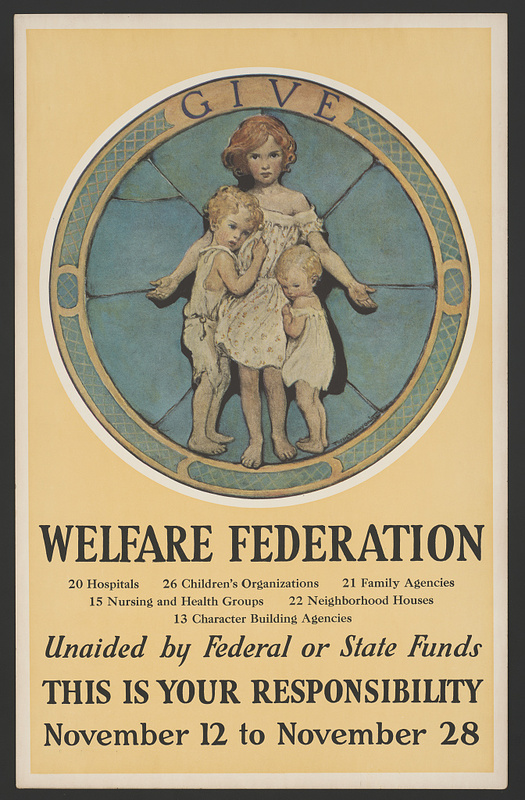 American Association of Public Welfare Officials: Its Founding - June 12, 1930Minutes of a Special Meeting of Division IX of the National Conference of Social Work. It was moved and seconded that those present proceed to form a new association to be known as the American Association of Public Welfare Officials and that a president be elected. American Association of Public Welfare Officials: Program Committee Meeting, February 7, 1931Minutes of Meeting of Special Committee of Association of Public Welfare Officials to Consider the Program of the Association. "The Chairman explained that the purpose of the meeting was to consider the future program and budget and staff of the Association." Dunn, Loula FriendMiss Dunn played a key role in bringing together social welfare leaders from all over the country to help study and draft legislation establishing many federally funded social work welfare programs. She influenced many, and during her long career she maintained close associations with such public figures as Eleanor Roosevelt, Lyndon Johnson, and Nelson Rockefeller.